100% fake. 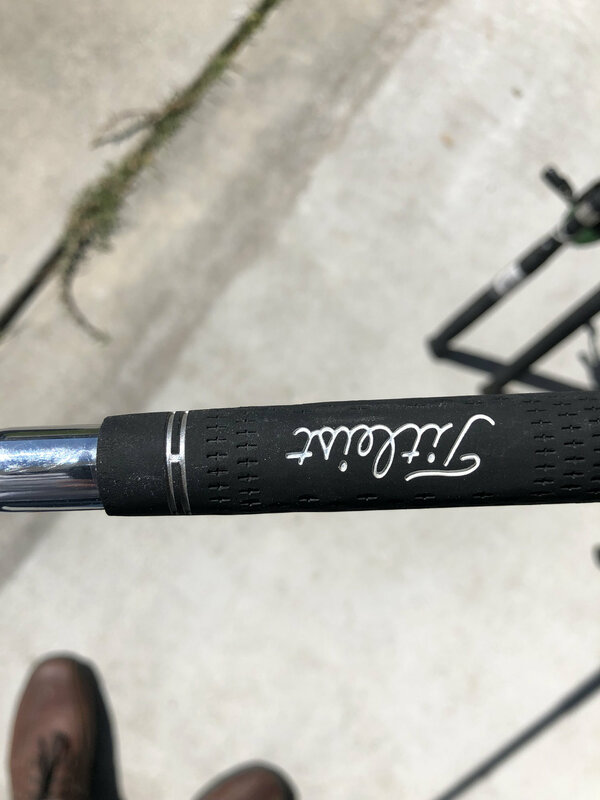 Shaft bands are a dead giveaway. Jesus ...these are just awful. Shaft bands, font on the #'s, cavity badge looks sloppy. Alot of red flags on these. Look ok to me but who knows. As for the shaft bands. Those are just stickers. Bet you could buy authentic shaft bands. 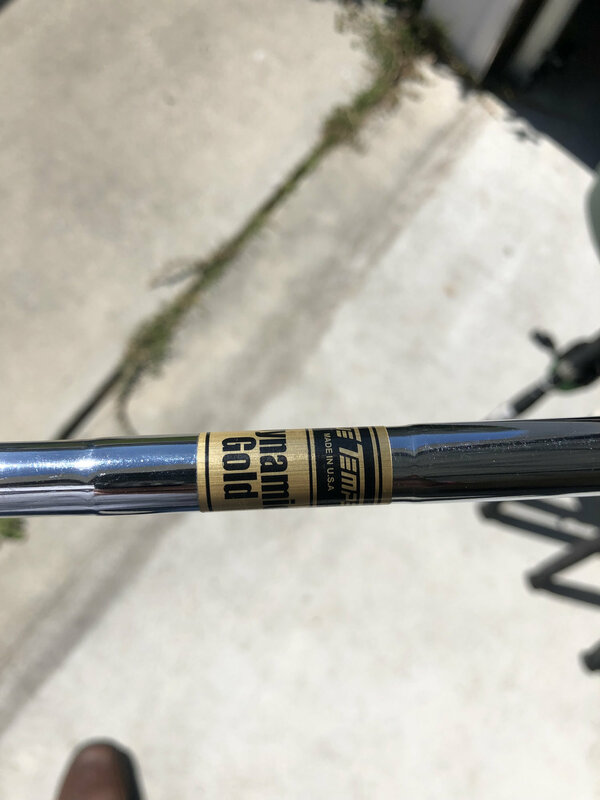 What exactly about that shaft sticker looks fake? 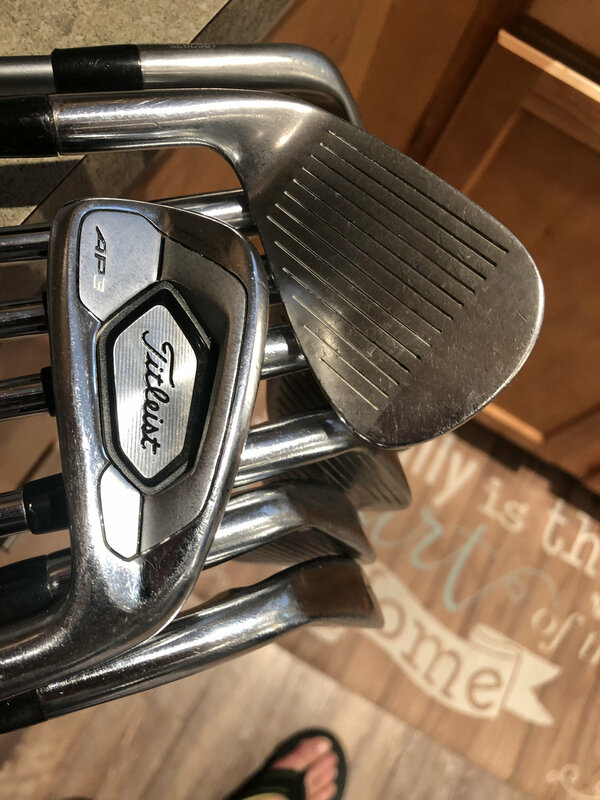 Have you called Titleist and given em the serial number to find any info? I would say the fonts on the numbers are a give away. I thought Titleist was a bit fancier with the font. 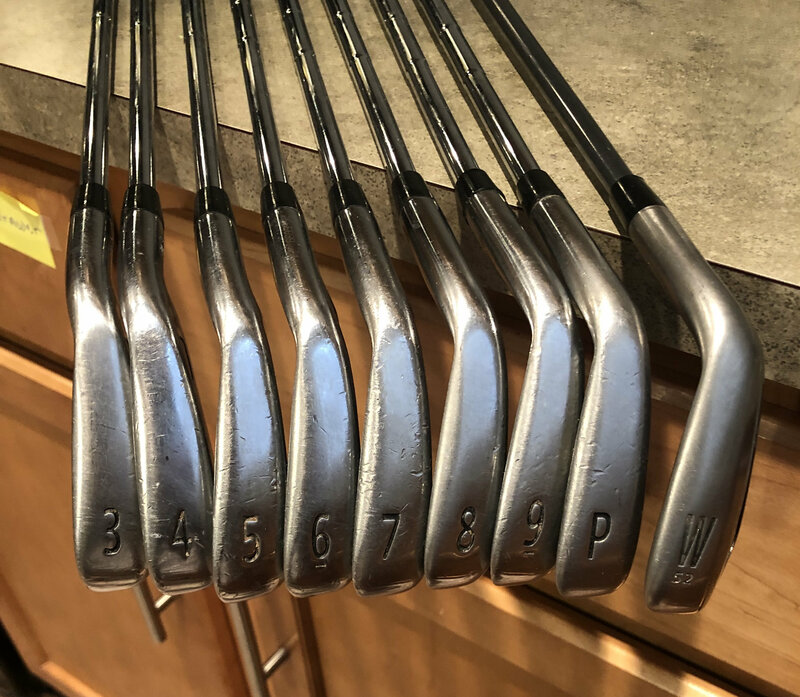 The Shaft bands are definitely knock offs and the serial # Etching is way off.. I was doubting you guys but I did just get a decent look at a set on Ebay and yes,, the serial number etching looks to be wrong. That said, I can't imagine someone counterfeiting shaft stickers. That would be a total pain in the **** I would think plus I see some on the bay for a few bucks. Looks suspicious, on the shaft band the last period is missing after "A". 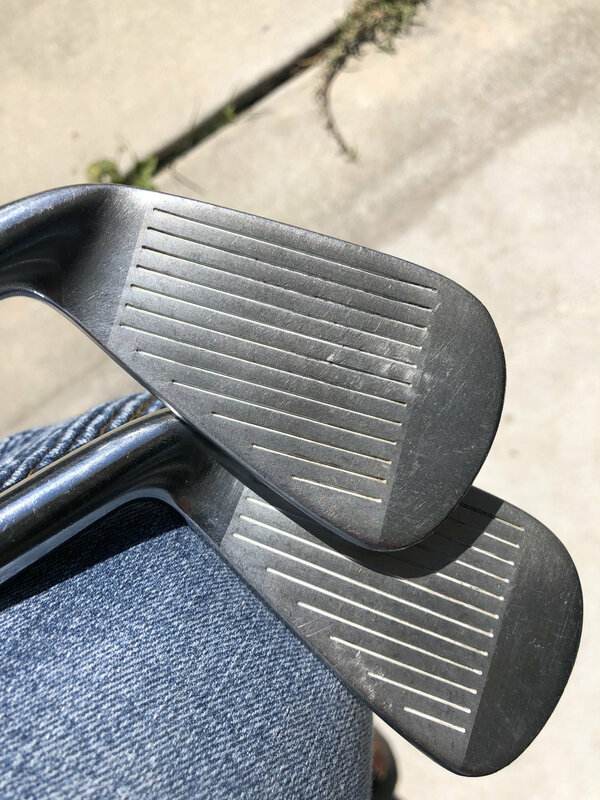 52 degree gap wedge? Not an AP3 gap wedge, which, is a 48. The club numbers on the soles are messy and too thin. 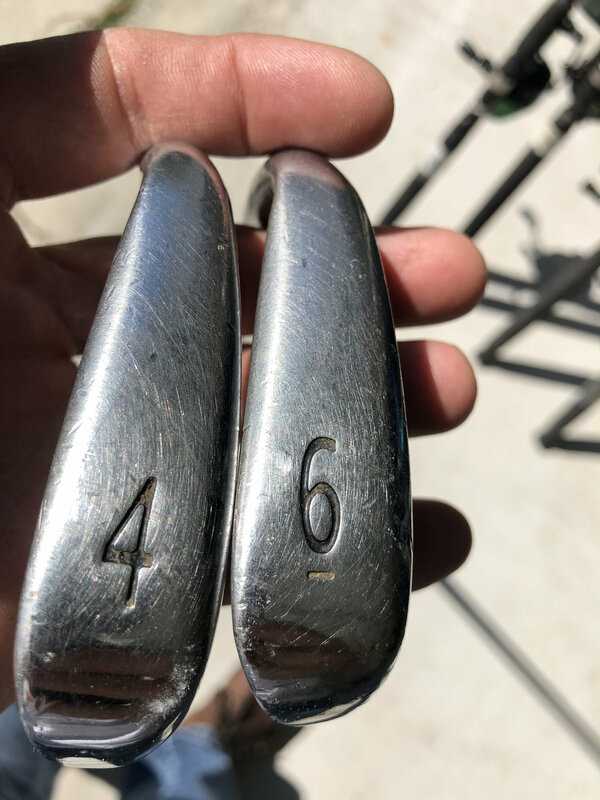 From the dents on the irons.. they look to be forged clubs... Do the make fake forged clubs? Maybe the shafts are fake.. The soles shouldn’t look beat up like that unless you drag them behind the car .